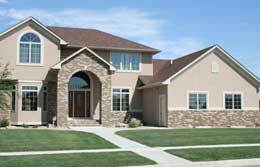 Home, Home owners, and Dwelling Insurance in Commerce Township Michigan - Levin Insurance Agency	"
Your home is often the biggest purchase you will make and your most valuable asset. If you have any damage, you need a Michigan insurance agent that will find the best company to fit your needs and settle your claims quickly. At Levin Insurance Agency, we will help you find the right fit for your needs while providing quality service and affordable pricing. Homeowner policies differ depending on where you live, the valuables in the home, and which coverages you choose. A comprehensive plan will cover you financially if you have a loss due to fire, theft, or other events, in addition to personal injury that occurs on your property. At Levin Insurance Agency, we have home insurance specialists that can tailor a specific package to your needs and risks. We have access to many top rated companies and will work to find the best insurance policy for your needs. We can quickly compare rates and ensure you don't have any gaps in coverage down the road. Personal Property - if you have a loss of property like clothing and appliances in your home. We can even offer special coverage for things like jewelry, electronics or guns due to theft or damage. Liability - this provides protection against lawsuits for personal injury claims while on your property. Medical Expenses - this is medical coverage for someone other than a resident who is injured. Living Expenses - if you have a complete loss, you may need extra temporary housing or food if you're forced from your home. There may also be other coverages that you many want to consider in addition to your basic homeowners policy. These may include personal umbrella, automobile, flood, earthquake or jewelry insurance. Our agents at Levin Insurance Agency can help you understand your other risks and help you evaluate whether you may need additional coverages in your Michigan home insurance plan. So, contact us today at (248) 531-8300 to find out more about home insurance in Commerce Township, Michigan including the Farmington Hills, Milford, Novi, Walled Lake, and West Bloomfield and surrounding areas.